Those of us who grew up near the Michigan side of Lake Michigan might very well know the thrill and excitement of dune climbing. Remember that first time you saw the impossibly tall dune and couldn’t wait to get to the top, only to discover on a hot, summer day that it wasn’t just any old hill to climb? 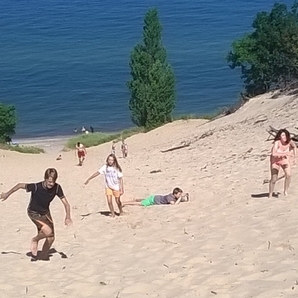 There’s a dune in South Haven, inside of Van Buren State Park, where you can test your mettle. Both locals and visitors know that the charm of South Haven is its spirit within every season. Spectacular for its beaches and boating in summer, the city is equally inviting for its beauty and cheer during the winter holidays. This year that essence includes the South Haven Center for the Arts 32nd annual Mistletoe Market, two festive floors of original creations by local and regional artisans for adults and children alike. South Haven gets even better when you add our diversity of dining featuring a spate of plates that make for great Instagram pictures. Here’s a look at some South Haven dining with dishes that tantalize your eyes before satisfying your craving. There is the classic movie story of the city person that moves to the country to become a farmer and spectacularly fails. 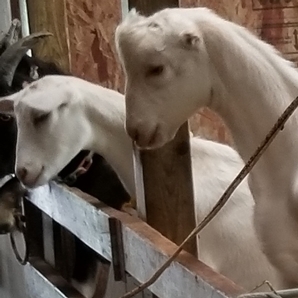 There were certainly a lot of back-to-the-land types in the late sixties and early seventies who tried their hand at country living. But truth be told, the majority of those folks probably didn’t make a go of it. Then there are those people who have the right mix of tenacity, passion and desire to make it work.